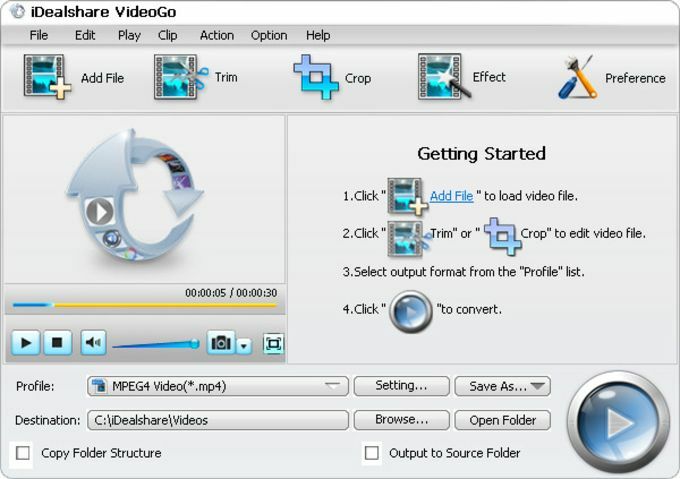 iDealshare VideoGo is a program developed by iDealshare that will make converting videos to audio files easy and fast. It is very easy to install and accepts many different video and audio file formats so you can enjoy your media to the fullest. The installation process takes only a few minutes and everything is smooth sailing from there. iDealshare VideoGo can also work on various videos and audio formats, You can convert any video to any kind of audio you want. Some of the accepted formats are MVI, OGG, and VOC. Aside from converting video and audio files, iDealSfare VideoGo can also do basic edits on your video clips like cropping, trimming, and adding subtitles. What do you think about iDealshare VideoGo? Do you recommend it? Why?